Don't miss this intimate Autumn concert featuring Oud player/singer Yuval Ashkar and percussionist Matt Stonehouse. The concert will draw on a large repertoire from all over the Middle East featuring both folk and classical music. Both musicians recorded with Melbourne based Baroque trio 'Latitude 37', for the Empires album and have recorded/performed with a host of international artists such as Ross Daly, Yair Dalal and Turkish group Bashka (WOMAdelaide). 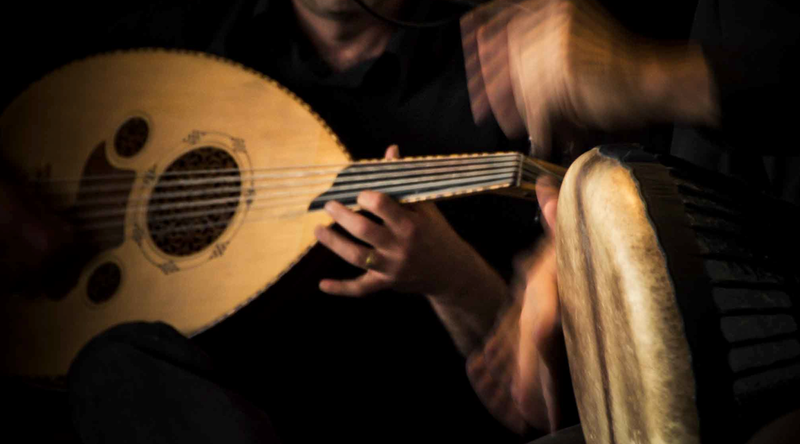 The repertoire is brilliantly woven together with soaring improvisations performed on Oud and drums such as Daholla (Ceramic goblet drum) and frame drums made by Montsalvat artist Matt Stonehouse. Matt has been based at Montsalvat this past year focusing on traditional and contemporary frame drum design in the old workshop located behind the Barn Gallery.